Parakeets are every interactive pet. They may not play like a dog or cuddle like a cat, but they will talk your ear off if you let them. Budgies are always chirping, singing or just talking. But have you ever wondered what all of those sounds really mean? Is your pet bird trying to tell you something? The answer is yes. 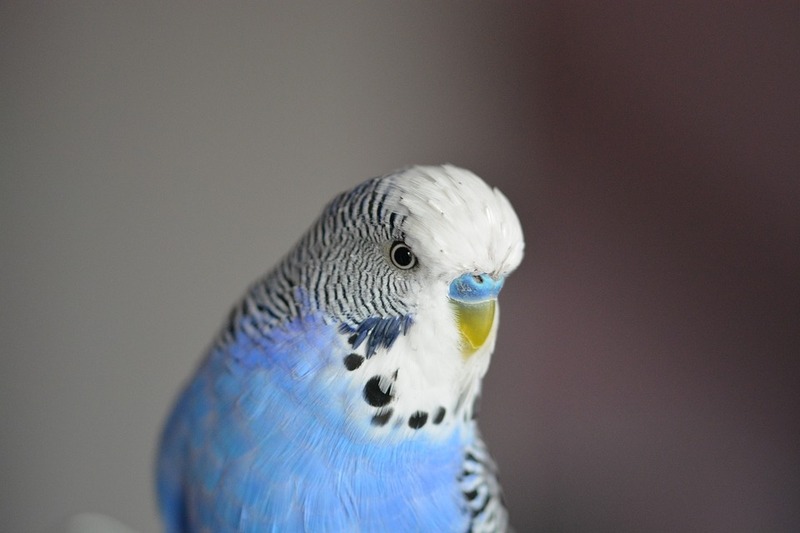 Every sound a budgie makes means something; and with so many sounds in their repertoire, the odds are good that your pet has a lot to tell you. Parakeet singing is the main way they tell each other (and you) that they are happy and relaxed. Most often done in groups, budgies use a combination of trills, chirps and whistles to create a kind of tune that expresses their feelings of happiness. One of the most popular parakeet sounds is called chirping. This can take many different forms, including soft song-like sounds and even high pitched ones. The type of chirp your bird uses will depend a lot on his stress level and mood. While chirping is a way to express his happiness, some birds will also use this form of communicate to let you know when his food or water dish need to be refilled or when he is upset or scared of something. For instance, a bird that exhibits excessive chirping every time you walk into the room may be lonely and expressing its need for attention. Take a few minutes to talk with, touch and feed your bird and his need for attention will dwindle a bit. Of course, many birds are enthusiastic when you walk into the room, increasing their chirping simply as a way to say hello. So, don’t always assume a lot of chirping when you come home is a desperate plea for attention – sometimes it is simply a hearty greeting. A chattering bird can appear to be talking to itself, and some ways that are correct (although your bird probably doesn’t know it). Don’t worry about this kind of behavior. It doesn’t mean that your bird is lonely (or even crazy), but that he is simply following his instinct. Squawking isn’t just annoying, it is your bird’s way of telling you something is wrong. Whether he feels scared; hurt; or sick, a bird will express his discomfort with a loud ear-piercing squawk. Pay attention. This bird needs help. A definite sign of distress, birds that hiss are sending a warning to you – and every other living thing in the area – to stay away; your bird is upset. Other animals in the house (dogs, cats and other birds in the cage) may be the most common victims of the bird's disdain, and therefore bear the brunt of its hissing. This can be a sign that the other animal is annoying it; is in its way; or that it is a danger to the bird. Of course, any time a bird is scared, hissing may result so be sure to check out the situation and make sure that your bird is safe when you hear distinct hissing noises. Do You Know That a Parakeet Can Live up to 15 Years! Parakeets love to imitate sounds in their environment, so don’t be surprised if they work to imitate the phone ringing, doorbell, certain toy noises or even a baby crying. This is a sign of a happy bird since most parakeet sounds are made when a bird is a content. If new sounds worry you, though watch your bungee’s body language for any signs of stressed. For instance, a bird that chatters with its wings partially open may be stressed and trying to tell you something is wrong. If you try and match the pitch of the sound with the bird’s body language you will soon learn which ones mean he is happy and which mean to pay attention. Parakeets are very deliberate with the sounds they produce and over time, they will help teach you which noises need attention, and which ones are simply their way of enjoying the day. When Do Budgies speak the Most? If you own a pet parakeet you know that they are rarely quiet. Parakeets are known for the abundance of sounds they can reproduce. While some people may think the birds’ noises are all the same, those who live with these unique creatures fully understand that all parakeet sounds have a meaning. By simply paying attention to the pitch, density and even loudness of the sound you can determine whether you bird is happy and content; angry; frustrated; hurt or even scared. Of course, some birds are more vocal than others. The best time to catch them “talking” is when they feel like interacting with you. They also tend to get noisier when listening to music. Budgies love to communicate and will be happy to engage in a serious conversation anytime that you are. This is a wonderful way to build a connection with your pet bird and make him happy in the process. The more talkative a budgie, the happier he tends to be. Making multiple sounds is his way of telling the world all is well. The expression is key to a happy parakeet, so enjoy the noise – it means that your bird is content. Every sound a budgie makes is a sign that he is happy and that you are doing a good job at caring for him.